For healthcare organizations, going smaller is big. A growing number of offsite ambulatory care centers such as clinics, outpatient surgery centers and the like are increasingly part of the healthcare mix. For instance, the number of Medicare-certified ambulatory surgical centers grew by 19 percent from 2006 to 2013, according to figures from the Medicare Payment Advisory Commission. That is more than 13 times the growth rate of Medicare participating acute care hospitals. 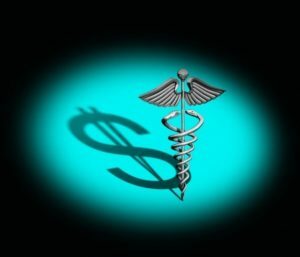 MedPAC also reported that the payments for services at ambulatory surgical centers grew by 32% over the same period. Inpatient hospital payments grew five times slower. Offsite centers are being turned to by large hospitals – and patients – for several reasons. They can allow greater patient satisfaction by, for example, providing easier, quicker, closer and less expensive access to healthcare. They also can enable better utilization of scare resources at a main site by allowing less complex care to be done elsewhere. Those factors add up to a competitive edge for hospitals. What does this trend toward more and smaller sites mean for the top five challenges facing today’s hospitals? Well, when it comes to finances and productivity, ambulatory care centers can present special challenges. Like larger healthcare sites, they can be energy intensive. So, they can be costly to operate. However, most ambulatory care centers are in smaller buildings, which may have originally started life as a retail outlet or something else. Repurposing this space can impact energy consumption and the bottom line. On the other hand, ambulatory care centers have some characteristics that can be exploited to save energy and money. For example, suppose the care center or parts of it are not open 24/7. Then, the thermostat for the entire center or the unoccupied sections can be adjusted up during the summer and down during the winter. This simple solution can generate significant savings. According to the Department of Energy, these can be as much as 1% for each degree if the setback period is eight hours long. Imagine the savings possible for a care center that closes for the night or that shutters part of its operation for a significant period of time. Shutting off unneeded lights can cut energy consumption further. Whenever heating or cooling is adjusted, then lighting can also be cut back. Still more savings can arise from reducing the power gobbled up by idle equipment. Pulling this off requires applying smart solutions to the problem, and that starts with data. The goal is to provide the right information to the right person at the right time. Then the healthcare organization can make the right decision. For smaller buildings implementing an automated and intelligent energy management solution can be difficult. In a report on leaders in building energy management systems, Navigant Research noted that structures of less than 100,000 square feet in size often lack digital control infrastructure, a necessary technology for the smartest energy management. So, for any solution it may be necessary to first cost effectively deploy Web and wireless technology through a product like Schneider Electric’s SmartStruxure Lite. This can then make it easier to monitor and control HVAC (heating, ventilating and air conditioning), lighting and metering. As can be seen in various statistics, the trend is for large healthcare organizations to go small – at least in terms of building size. Doing so successfully means meeting the energy management challenges with smart, integrated solutions. What other challenges do you see offsite ambulatory care centers facing today and in the future? Share your comments below. This is a really interesting blog! Small buildings have a greater surface to core area, meaning that more heat can be lost through the “skin”. There is a critical ratio of mass to surface area in mammals which, along with metabolic differences, determine which animals hibernate and which ones do not. I had not thought of buildings in this way before reading this blog. Thank you Estelle! One idea that’s starting yo gain traction is BIM or Building Information Modeling. By using truly collaborative BIM services, where you have the ability to be immersed in the virtual building, means better planing and better design. By starting with the building, early in planning, you have the ability to see potential issues beforehand and can act accordingly. These services can be very economical. Imagine building your building on time and way under budget. Recently Carolina healthcare did just that and concluded that it was not only nessasary for BIM to be apart of E.B.D but essential in the ongoing success of the entire life cycle of the building. Thanks for your comment Wendell! I agree, I can see BIM being a requirement in all new complex building projects in the near future, particularly for healthcare facilities that need precision planning. We are already working with it quite a bit!